Here at Magic 4 Children, we literally entertain at hundreds of parties a year. We’ve seen it all! But it is amazing how many things we see time and time again that can make a party harder for the children and parents to enjoy. 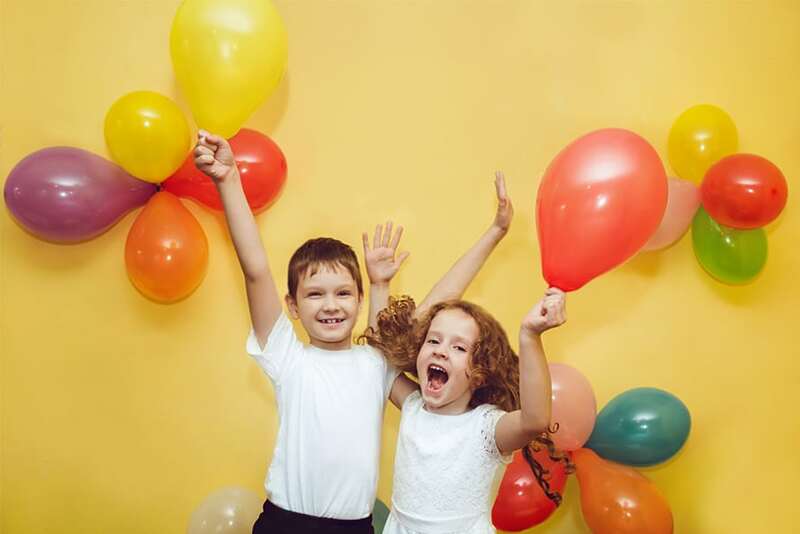 To ensure your child enjoys every party they attend, we’ve packed this blog post with our top tips for children’s birthday parties, derived from years of party experience. Choosing an outfit for your little one to wear at a party is a big deal. We quite often see outfits that have obviously been bought to last. Whilst we understand parents want to get wear out of party clothes or fancy dress outfits, do consider that if an outfit is too long, then your child will probably trip during the entire party. Most parties will have some, if not lots of, active parts to them, so comfort and suitability of outfit are key. Fancy dress costumes can also be quite uncomfortable, scratchy and itchy, so do try them on your child first. If there is a problem, have your little one wear a t-shirt or vest underneath. The same goes for shoes. As most children’s birthday parties will involve some running around, comfy shoes that are not slippy, too big or too small and are preferably flat-soled are really the best choice for your child’s enjoyment. Props can be a fun addition to any fancy dress costume—a wand for a fairy or a sword for a pirate. Bear in mind, however, that children soon lose interest in props. They put them down and then promptly forget about them. Or they start using them as weapons so the props get broken, someone gets hurt and tears ensue. We advise letting your child make an entrance with their prop but then put it away for safe keeping. Keeping things simple will allow you that opportunity to be part of your child’s party, and that is worth more than all the party decorations in the world. We often see parents really stressed out at the start of the party trying to get umpteen decorations in place. Simplicity always works well. A couple of well-chosen balloons to decorate the table, some colourful bunting and matching tablecloths, paper plates, etc really do look great and are a lot more budget-friendly and a lot less stressful to get organised. Whilst we are on the subject of decorations, here are some that we would really advise against. Don’t put balloons all over the floor. They will be popped in seconds and the children will fight over them. Similarly, don’t leave them dotted around on strings. They quickly become tangled or worse, wrapped around a child, which can cause accidents. Balloons look best attached to the walls, tied to chairs or on top of tables as decorations. Similarly, don’t waste your money on those shimmer curtains you can hang from a doorway. As soon as someone walks through them, no matter how securely you have attached them to the door, they start to fall down. Within 5 minutes, you end up with streamers everywhere and tangled around children. Again another area that can become very stressful. Our advice for food is the same as for decorations: keep it simple. Children love all the old party classics—mini sausages, hula hoops, party rings, chocolate fingers, etc. They are also very good at choosing healthy options too, and things like cucumber and carrot sticks, cherry tomatoes, grapes and berries always go down well. People always over cater with sandwiches. We suggest half a round of sandwiches per child with a few extra rounds for the hungrier ones, and keep fillings simple. Cheese, ham, chocolate spread or jam are still popular. Always serve the sweet stuff after the savoury stuff so the children get 2 courses effectively. And to help you plan quantities, consider using party food boxes or plating up each child’s food so you can see how much they actually need to fill their plate. Relax and enjoy the party, whether you are the host or a guest. Your child won’t remember what food they ate or what costume they had. They will remember having fun with their friends and family, and they will much prefer to have you in the room joining them than you being stuck in the kitchen or chatting with other parents the whole time. Keeping things simple and joining in the celebration will allow you that opportunity to be part the party, and that is worth more than all the party decorations or the fanciest party costume in the world. To see how we can help make your child’s party stress-free and memorable, take a look at our party packages.